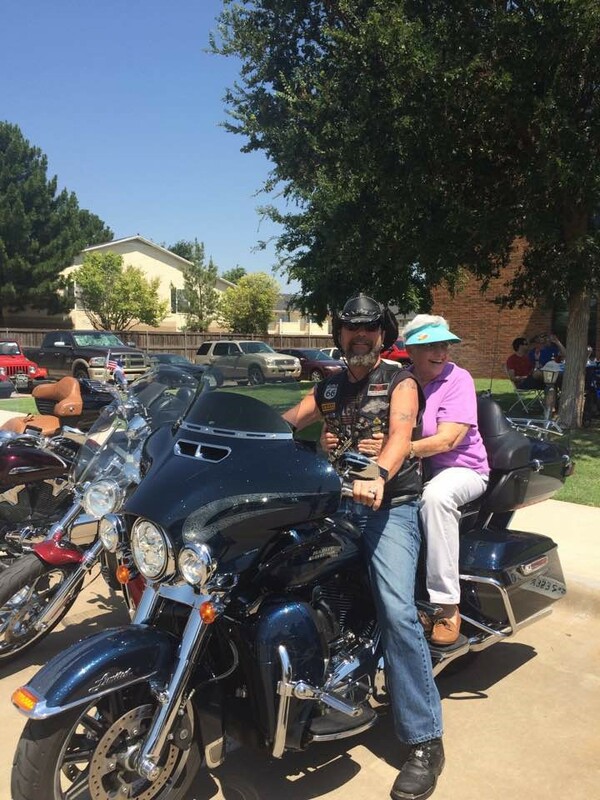 T o enjoy the fellowship and joy of traveling together, Fellowship Riders-Lubbock takes several trips each year in addition to many activities in their community. 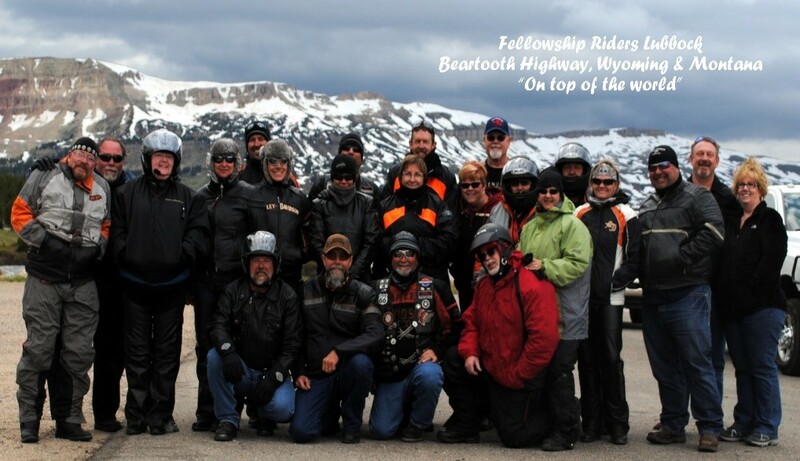 On June 8-13 this group of 25 rode over 2,600 miles through Wyoming and Montana while sharing devotionals, divine appointments with those they met along the way, and prayer. On day three, a couple went down and were injured; however, what the enemy meant for harm became an opportunity for God to show up and show off His sovereignty over all things. During the 1st few minutes of the crash, the Lord brought a Trauma Doctor, 2 nurses, and many prayer warriors to the scene. An hour later emergency services arrived to airlift one rider and transport the other to a hospital 1 hour away where he was treated and released. A state trooper commented that this was the calmest crash scene he had ever responded to and the brother of the injured rider explained it was the presence of the Lord. Within a few hours the Lord revealed that the riders would be restored and gave peace to continue the ride. Funds to cover hotel, food, and airfare to return the riders to their home in California were provided by riders and others who learned of their need. Not letting Satan gain anything from what might seem a tragedy, the following Saturday, June 18, this ministry visited Brookdale Grand Court, an independent senior living facility, for a Father’s Day Cookout. Two residents, one a former CMA member and one a motorcycle police officer, had some great stories to tell of their riding experiences. When one of the female residents asked to mark a motor-cycle ride off her bucket list, “It was ON” as all residents who wished were given a ride with one saying “You can go faster, you know!” The oldest rider was 98 and asked the riders return for her 100th birthday.